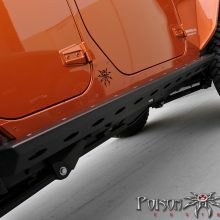 Poison Spyder is likely the most popular manufacturer when it comes to high end metal work and Jeep components. 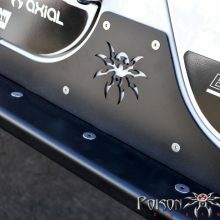 You really can’t beat Poison Spyder’s build quality and attention to detail – and these Poison Spyder Brawler Rockers are a perfect example. Brawler Rockers are built in a two piece fashion (often called boatside). 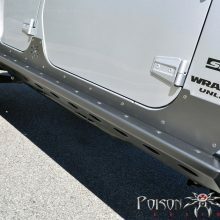 This means that there is an upper piece that fits along your Wrangler’s lower sheetmetal (just under your doors), and a lower piece that protects the bottom of the tub. 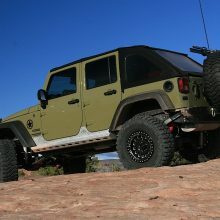 The lower section also incorporates what Poison Spyder calls a “rub rail” – this is a lip that sticks out just over 3 inches from your Jeep, and keeps rocks away from your body, as well as providing a step to help you enter and exit the Jeep. 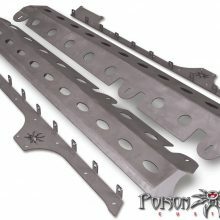 You can purchase Poision Spyder Brawler Rockers in either steel or aluminum, depending on which you prefer. 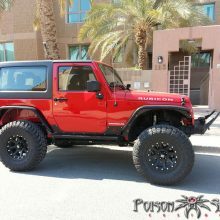 The steel rock sliders are build from 3/16″ steel plate, and the aluminum version is made from 3/16″ aluminum plate. 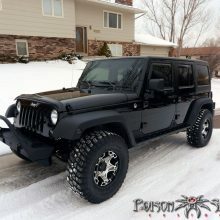 Not everyone can shell out a grand for rock sliders, but if you can afford Brawler Rockers, then that’s the way to go. 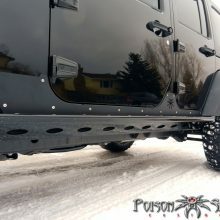 The guys at Poision Spyder have really thought of everything, from the ovals cut in the side to allow you to clean out mud and debris, to the nutserts they supply to attach the rockers. 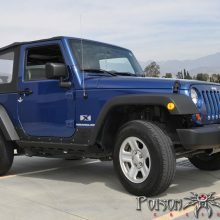 I’ve ran some cheap rock sliders, and I’ve always regretted it – keep from having to replace your sliders later buy buying quality the first time. 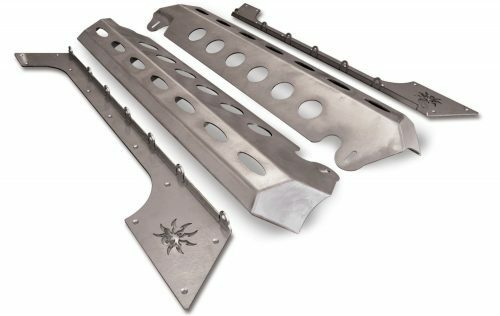 When buying these keep in mind that they ship bare, so you’ll need so fork out some cash to have them painted / powdercoated, or do it yourself. 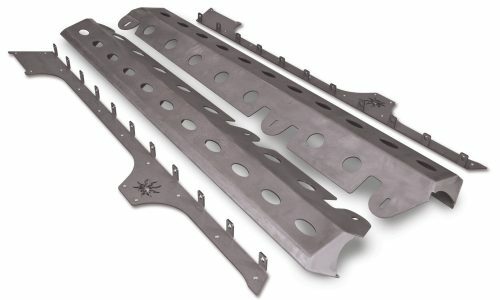 Choosing between steel and aluminum for your Jeep components can be difficult. 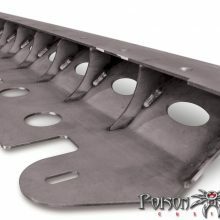 Steel is normally cheaper, and is slightly stronger. Aluminum is lighter, and it largely rust resistant. 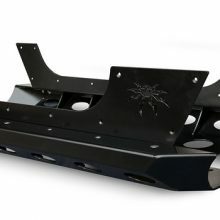 If you want the absolute strongest rocker, then go steel. 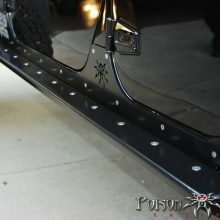 If the idea of saving weight (fuel milage) and not having to worry about rust appeal to you, then go with aluminum.